David Granirer, a comedian, counsellor, speaker and author, headlined our Lend An Ear Breakfast. On the morning of September 21st, 2017, we gathered in the beautiful Odd Fellows Hall for our 7th Annual Lend An Ear Breakfast. Comedian, David Granirer, from Vancouver, BC, headlined the morning. He is a stand-up comic, counsellor, mental health speaker and author. His genuine sense of humour on serious topics like stigma and depression, had guests starting their day with a smile. David has struggled with mental illness since the age of 16, and attempted suicide after years of struggle. 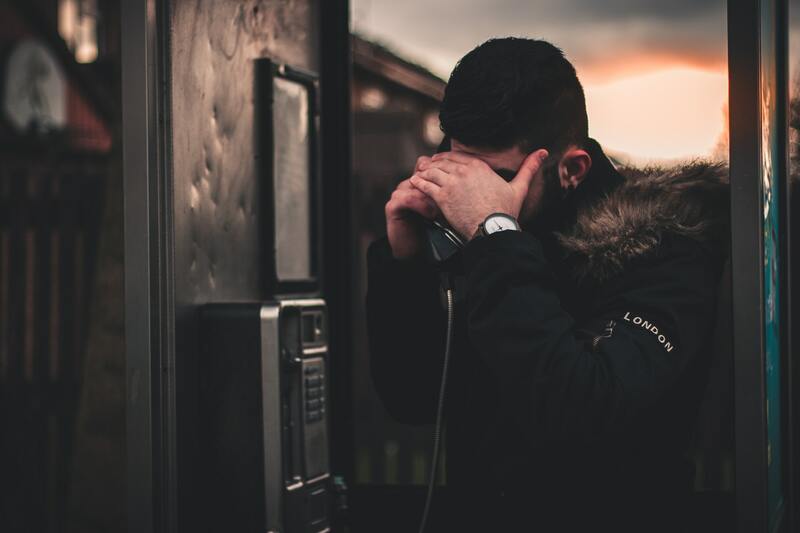 He went into treatment and began seeing a therapist to learn how to manage his mental health. In 2004, David decided to take to the stage and created Stand Up For Mental Health, a program that teaches stand-up comedy to people with mental health issues. During his funny and insightful talk he talked about his struggles, the power of Stand Up For Mental Health, and his own experience volunteering and then working at the Vancouver crisis line. 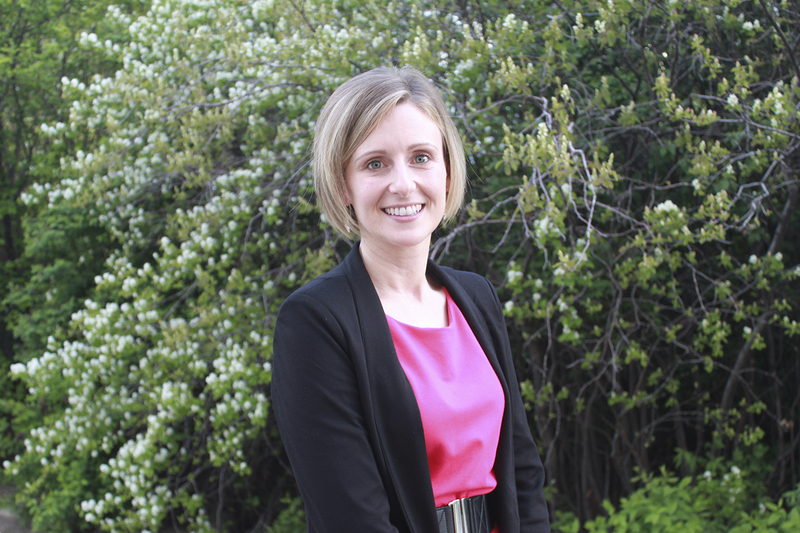 Our outstanding MC, Angela Kokott, from Calgary Today on News Talk 770 spoke passionately about why she supports Distress Centre year after year and why our services are needed in our community. Our guest list included our sponsors, donors, volunteers, staff, our partners in the non-profit sector, and friends of Distress Centre. 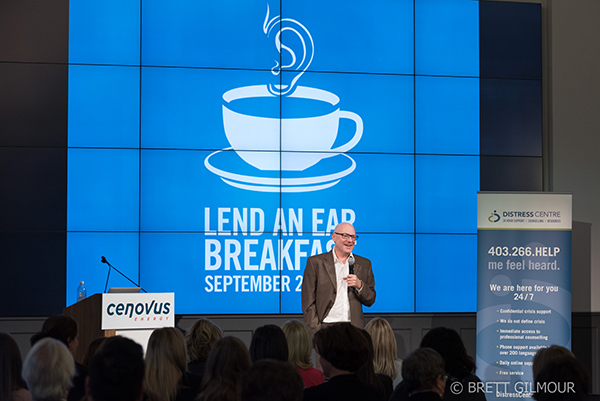 Lend An Ear is Distress Centre’s only annual fundraising event and when a company like Cenovus steps up and generously donates the venue, and Catherine Bell & Kent Brown sponsor our speaker, we couldn’t host an amazing event without their support. Other event sponsors included Servus Credit Union, Stepper Home, Competitive Insurance Ltd, Altitude Communications and GLJ Petroleum Consultants also continue to support us. Fleetwood Jewellery donated a ladies Swiss made Charriol Rotunde quart movement wrist watch valued at $2,000, and Delta Airlines donated travel vouchers to fly to over 325 destinations around the world, valued at $2,000 for our Live Auction. LGFG Fashion House donated a custom jacket/blazer and shirt to our raffle as well as donating a made-to-measure shirt to each person who donated $100 or more to Distress Centre. We are grateful to our Community Partners: Ostays, Gilmour Photography, guitarist Brett Gunther and Elevate Auctions and to all our guests for supporting our 2017 Lend An Ear Breakfast. Catherine Bell, of the Awakened Company. Catherine and Kent Brown are the presenting sponsors of our speaker. Guitarist Brett Gunther, serenaded our guests as they arrived. 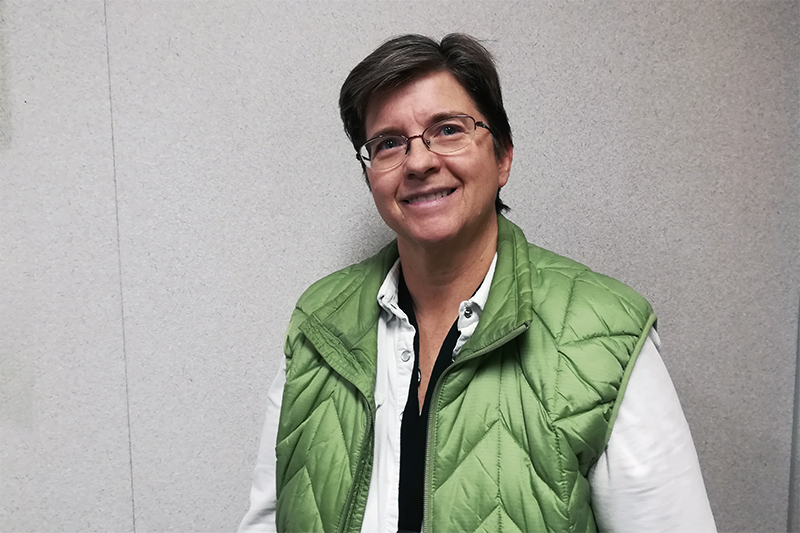 Simone Rousseau, a long time monthly donor for Distress Centre, explained why she plans to be a Distress Centre donor for life.